I have been relying so heavily on ginger lately for my own well-being that I was inspired to write my own little ode to ginger. Ginger is one of those spices that does everything. Rather than seeing it as a jack of all trades without ever truly performing well in one area, I see it as a renaissance spice. Doing it all and doing it extremely well. Ginger originally comes to us from Asia. Most of the ginger found in North America is grown in Jamaica. Although I do have a preference for local herbs, this is certainly one I would never want to be without. 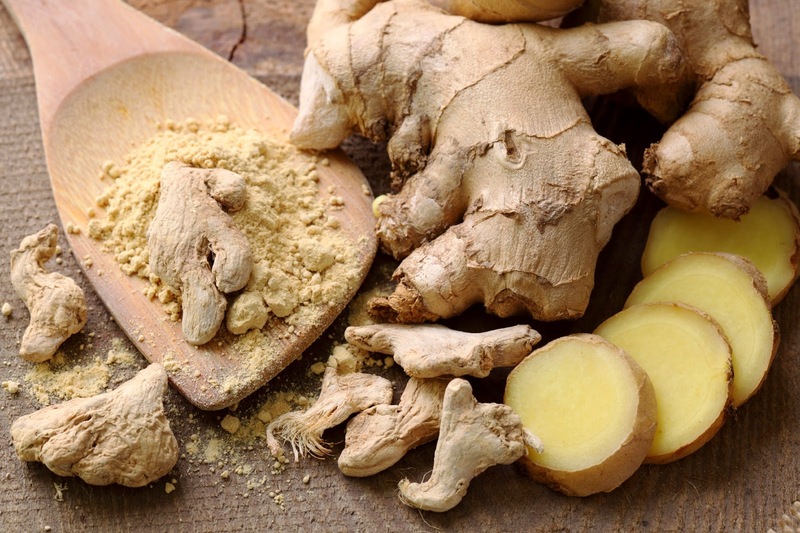 Is fresh ginger or dried ginger best? Fresh ginger is warming, while dried ginger is hot. Because of this we use them for different purposes, with more caution being used with dried ginger, as it is more heating. Quality fresh ginger is firm and vibrant looking. If ginger at your store is wrinkled or soft, request that fresher ginger be made available. You can peel the papery white sheath that covers the ginger by scraping it with a spoon. Call me lazy but I simply wash the rhizome and leave the skin intact. Ginger tea is often drunk after meals in India to help with the digestive process. Anytime a meal doesn’t sit right with me, I reach for fresh ginger tea and any digestive disturbances are calmed quickly. It’s the herb of choice for any kind of motion sickness. When making first aid kits for those who often get car sickness I include ginger candy and ginger tincture; both work quickly to quell the nausea. Ginger is a fabulous herb of choice for when you have a cold and you feel cold. Dried ginger works especially well for this. This winter when it was below freezing outside and upon waking only 30 degrees F inside our wood stove-heated cabin, ginger chai tea was a favorite of mine to keep my circulation moving and warming me from the inside out. Ginger can calm spasms, making it a great ally for women with menstrual cramping. I like making a ginger chai tea with crampbark to ease my menstrual pains. It can also be applied topically as a fomentation or poultice. I often make a large batch of ginger, reserve some for drinking and some for external use. To apply externally I simply place a washcloth in the tea, place it on the affected area and then cover that with a hot water bottle. Ginger can reduce pain receptors and is often used by those with osteoarthritis and rheumatoid arthritis to reduce pain. Herbalist Steven Buhner recommends cooled ginger tea as an external wash for burns. Not only does it prevent infection, it also acts as a pain reliever. These antimicrobial properties, along with its warming, expectorant and diaphoretic tendencies, indicate a wonderful herb for colds and the flu. The following tea recipe is common for the cold and flu season. I think of it as specific to those people who are cold, congested, foggy headed and with a sore throat. Ginger TeaGrate a half inch of fresh ginger using a cheese grater, or mince finely with a knife. Place in a mug. Fill the mug with boiling water and cover. Let stand for 15 – 20 minutes. Squeeze some fresh lemon juice into the mug, and add honey to taste. I don’t strain off the ginger; instead, I munch on the little pieces. Another herbal preparation that is great for sore throats is to simply infuse minced or grated ginger in honey. After a few hours this mixture will turn syrupy and will soothe an irritated sore throat instantly. Lately I have been using strong decoctions of dried ginger for a variety of ailments. Several weeks ago I suddenly had a strange sinus pressure headache. I had no mucous congestion, but all of my sinuses in my head (including my occipital sinuses) felt like they were going to explode. At first nothing helped with the pain. Then I started using hot water bottles and when that provided relief I reached for the strong ginger tea. After days of intense pain the first sips of ginger tea immediately reduced the pain. When speaking to my mentor Karta Purkh Singh Khalsa about this he eloquently said, "Ginger is great for harmonizing the energies in the head." More recently I had a rib go out of whack. The pain from this was excruciating with all my muscles seizing up in an effort to protect the vulnerable area. Again, strong ginger decoctions helped to relieve the pain. One reason that ginger may be such an important ally for me is my tendency towards deficiency and coldness. For those of you not familiar with constitutional analysis this simply means that I often feel cold. Others are in T-shirts while I have my sweater on. Also, I typically always have more blankets at night than my husband. My pulse is generally faint and slow, my energy tends to be slow and my complexion could be described as pale. Ginger is a warming stimulant. This simply means it stimulates tissues. So it increases circulation, increases digestive secretions and expectorates mucous. People who tend to run hot or are typically excess may have trouble using copious amounts of ginger. 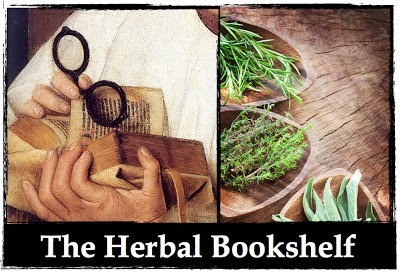 I frequently add small amounts of ginger to formulas of herbs that are mostly cooling in order to create more balance. Are there other ginger aficionados out there? I'd love to hear how you are using ginger.